What is TADSOL? Read this review before you sign up as a member. My advice is to stay away from TADSOL if all possible. Why? Is it a scam? Find out here. What is Total Advertising Solution (TADSOL)? TADSOL is just another paid to click (PTC) program and a revenue sharing platform. TADSOL provides advertising solutions and all you need to do is to help driving lots of traffic to their sales website. It is actually categorized under the traffic exchanges platform, of which you as a member is required to exchange clicks and visits as a form of PTC advertising platform. In order to earn some commissions through TADSOL, you will need to purchase the ad pack as part of their revenue sharing program. How to Make Money with TADSOL? TADSOL allows you to make money by clicking on advertisements. Depending on the advertisement you click or view, you will possibly make $0.02 per advertisement. This is the least popular way to make money through TADSOL as you will end up spending hours sitting in front of the laptop and make just a few more cents. TADSOL has a referral program that allows members to earn extra cash by recruiting new members. You will earn up to 10% referral commission with every referral upgrades and purchases on the ad packs. That simply means the more active referrals you have, the more commissions you can make. On top of the referral program TADSOL offers, you can boost your earning by buying tons of ad packs. As TADSOL business grows, they need investment. You as a member could buy the ad packs as part of the investment. Of course, the more ad packs you buy, the higher returns you will get. In every ad packs you purchase, you will earn a certain amount of profit depending on the ad pack you buy. There is 4 different ad pack choices (see below). If you purchase a “Surf Pack” you will be required to surf 5 PTC advertisements per day if you would like to receive the daily share of profits. If you know how TADSOL works, you probably will not advertise your business with them. Those people who will be clicking on your advertisements will be those wants to make some cash through simply clicking the advertisements. They are not interested at what actually you are selling but just for the sake of clicking. This means that they will have to click on hundreds of ads if they want to make a couple dollars. It is a bad move if you want to drive traffic to your site through TADSOL as you will not be getting quality traffic that will convert into sales. You can request a minimum withdrawal of 2USD and a maximum DAILY withdrawable amount is 500USD. All payment will be made via Payza, Perfect money, Bitcoin, Payeer, and SolidTrustPay. Most of the payment will be processed and credited to your account almost instantly. However, due to the popularity of this program, the growth of memberships is increasing. In some occasions, it may take up to 24 hours. (+) They have a referral program that allows you to earn up to 10% commission of every upgrade and purchase of ad packs. (-) You will need to invest some money to earn more profit. (-) It is still new and it is listed as a scam due to its ad pack selling program. (-) It is not a real advertising platform and people should avoid it if they want to promote their business. I must admit TADSOL has some ways for people to make money but it is not a sustainable business model. I have seen many other programs that have been rolled out in the market and they no longer exist. I wouldn’t recommend TADSOL if you want to make money online as you will not earning much as a newbie. You will have to invest some good money to generate more profit. However, the ad pack system is not a good business model and it will not last long. If there are no new investors, the whole business system will collapse as there will be no more inflow of investment to support the older members. I don’t have fate in TADSOL. If you are looking for a way to make money online. Skip this one and go for something else. You have to remember one thing that clicking ads will not allow you to quit your nine-to-five job. Even if you join a great PTC site, it will only serve as a tool for you to make extra pocket money during your free time. If you are looking for other opportunities online to make real passive income, you should not waste your time and effort on those sites. I have tried them and I had enough. The income potential to earn real money is extremely limited. If you are looking at earning some passive income that could allow you to call it a career or business, then the best approach is to look for a dedicated way of earning money online. I make a lucrative income from running my blog. If you would like to learn how to make passive income online, you are welcome to sign up for my free email course. I appreciate if you could share this post. For those who have tried TADSOL, share your experience with us. 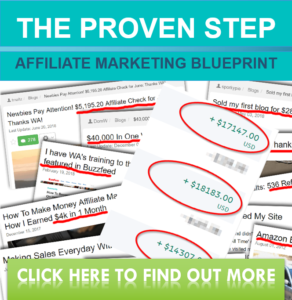 Inner Circle Affiliate Marketing Review – Real Business? What Is PaidViewpoint? Is It A Scam?